FAVORITE DESSERT ALERT!!! FAVORITE DESSERT ALERT!!! Oh, as most of you may know, or actually most of you probably don’t know, well, some might… anywayz, I LOVE desserts. 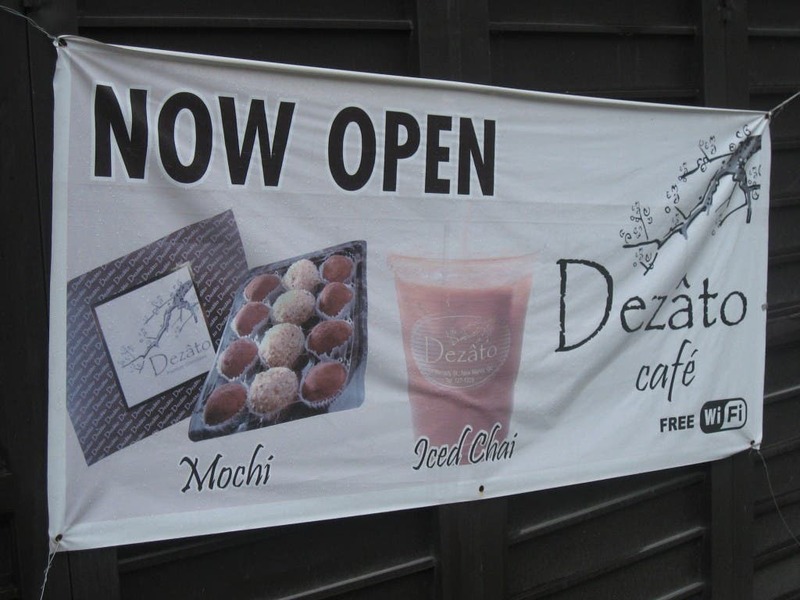 So it’s only fitting that one of my favorite places in the Philippines is this quaint little place in New Manila called Dezato Cafe, which is famous for their Mochi Balls Dessert. 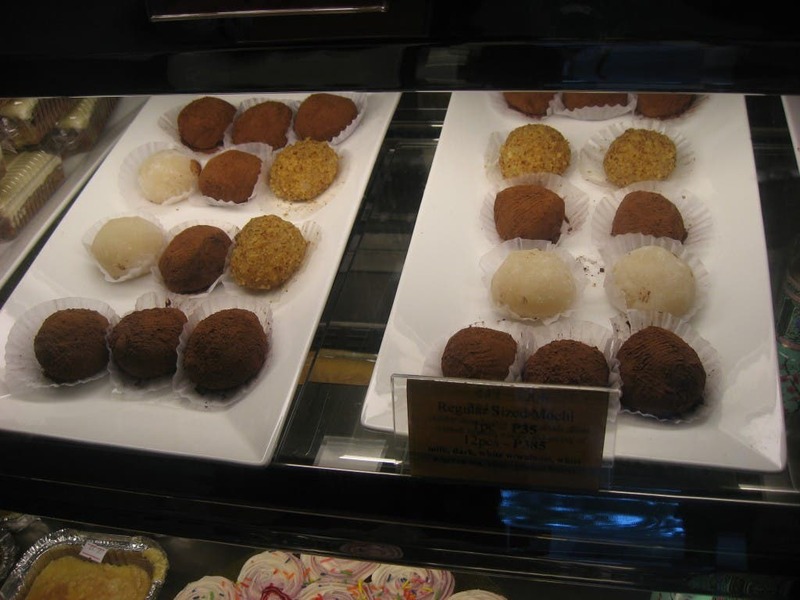 According to my friend and the owner of Dezato Cafe, Maria, a Mochi Ball is a Japanese dessert that’s made from sticky rice. It’s usually filled with red beans or sesame and rolled with starch. But at Dezato Cafe, they don’t really conform to all that traditional riff-raff, they just had to be different! Harold, our director / camera guy, couldn’t even keep his hands off them. We were still in the middle of our interview with Maria as Harold chowed down on all the Mochi Balls. 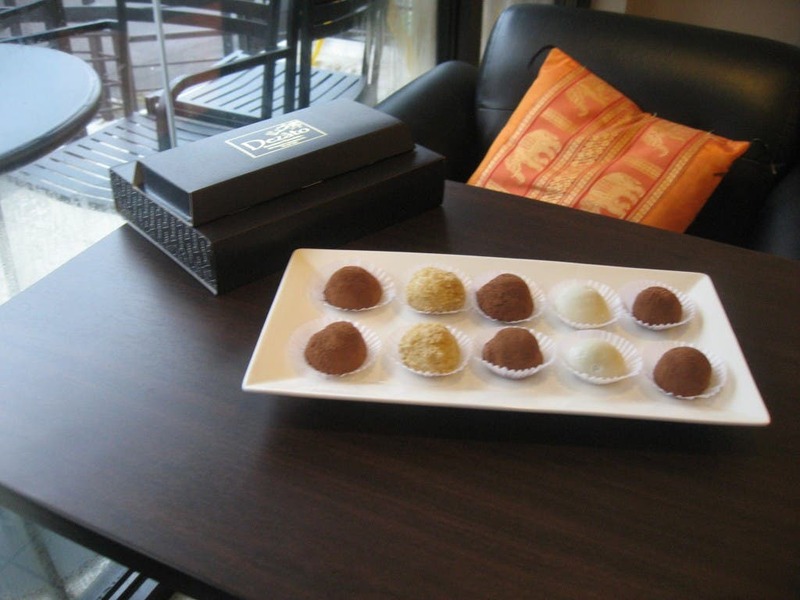 So yeah, When In Manila, be sure to check out this favorite dessert place of mine, Dezato Café, and have one of their awesome Mochi Ball Desserts. Try to go there before Harold eats them all up! Southie Alert: BLK 513 is Now Open in SM Southmall!